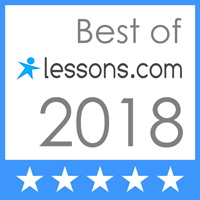 Private in-home lessons in the Boston MetroWest, including but not limited to Acton, Concord, Lexington, Lincoln, Sudbury, Wayland, Wellesley, and Weston. Lessons provided for Piano, Organ, Harp, Cello, Violin, Viola, Bass, Guitar, Ukulele, Flute, Piccolo, Clarinet, Saxophone, Bassoon, Oboe, French Horn, Trumpet, Cornet, Trombone, Baritone, Susaphone, Tuba, Percussion, Voice, Theory, and Chamber Ensembles. ​Music styles range from classical and baroque to jazz, rock, and contemporary. National Piano Guild auditions, Royal Conservatory, and Associated Board of the Royal Schools of Music programs are offered. Piano Guild Prep Workshop - April 8, 2019. 6:00-7:30 PM and May 5, 2019 1:00-2:300 PM. For Note-worthy Experiences event details please contact us or refer to the emailed monthly newsletter.